David Harbour and Millie Bobby Brown fight like real life father and daughter on the set of ‘Stranger Things’. 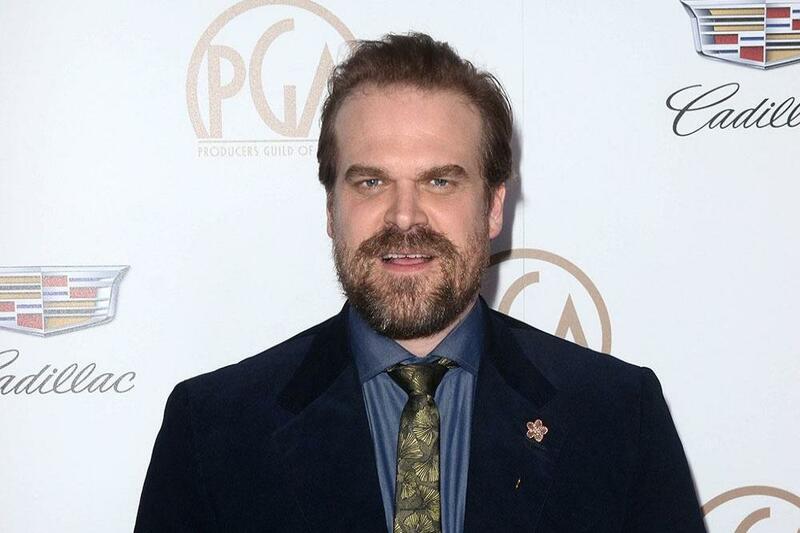 The pair will be on screen again when season three of the popular Netflix series hits screens this July, and the ‘Hellboy’ star – who plays Millie’s character Eleven’s adoptive dad Chief Jim Hopper on the sci-fi show – has opened up about his favourite memories on set with the 15-year-old English actress. The 44-year-old actor says he cares a great deal for Millie and is able to tell her when he thinks she’s made a “bad decision”, like a parent would. The ‘Quantum of Solace’ star – who previously dated actress Julia Stiles between 2011 and 2015, and was romantically linked to ‘Fantastic Beasts: The Crimes of Grindelwald’ star Alison Sudol last year – says that Millie bugs him with questions on his love life and admitted they “like playing up” to their “fake father-daughter relationship” in real life. Asked for one particular highlight working with the young award-winner, he said: “It’s being in the make-up trailer together, in the morning, and just sort of going over the things that are happening with our lives.